THE beat of African drums came together with the harmonious sounds of more than 400 singers at the Queensland Concert Hall last night for a one-off performance of David Fanshawe’s masterpiece The African Sanctus. Choir and 10 local high and Egyptian wedding music all to the hypnotic sound of tribal drums. The African Sanctus was the result of Fanshawe’s epic four-year journey through Africa from 1969 to 1973. 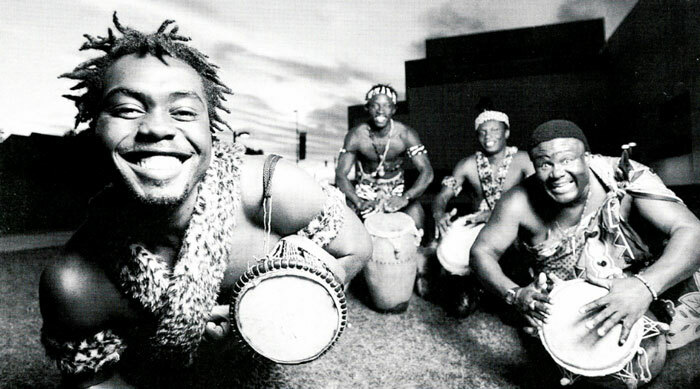 The symbolic cross-shaped pilgrimage took him from the Mediterranean to Lake Victoria and from the mountains of West recorder, Fanshawe recorded music from more than 50 tribes. 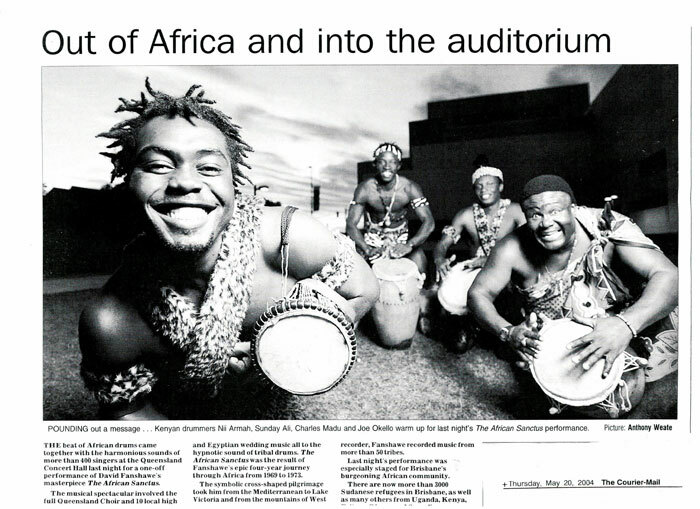 Last night’s performance was especially staged for Brisbane’s burgeoning African community. There are now more than 3000 Sudanese refugees in Brisbane, as well as many others from Uganda, Kenya.